Such are the joys of old cameras. My Chinon CE-3 jammed on me in the middle of the F1 weekend in Montreal. I didn’t know what was wrong, and I didn’t know how it could be fixed. I resigned myself to no more pictures for the weekend. I took the camera to a repair shop a few days later and was told that there was a problem with the mirror box, that it could be a hundred bucks or more. It’s an obsolete camera with an obsolete mount, with no real forum discussion or repair instructionals online. It’s a $40 camera, or at least that’s what I paid for it. It had quickly become worthless. So I figured today, what the hell, I’ll open it up and see if I can spot a jam. 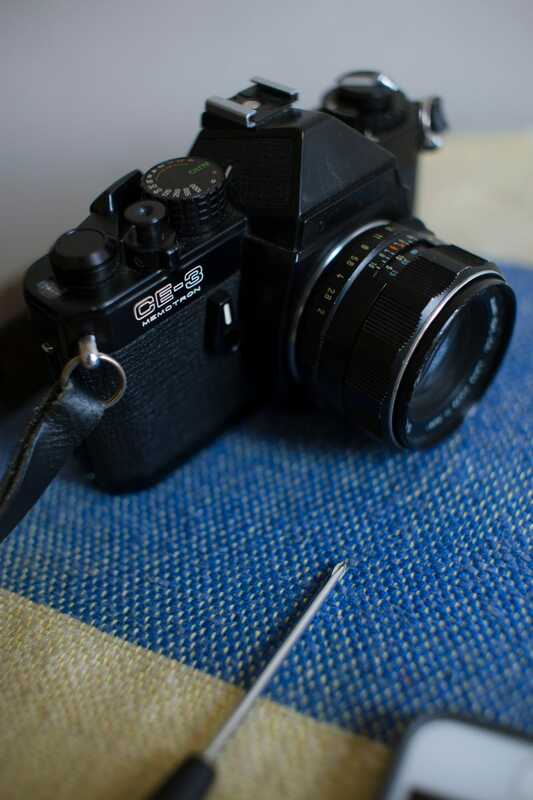 I unscrewed the bottom, test fired the shutter a few times and test wound the advance lever, both of which had been what had seized on me. The metal shutter returned from being hidden folded up inside the camera’s guts, and now the whole thing seems to work fine. I’ll need to shoot a roll through it to be sure, I suppose. As I said, such are the joys, if you can call them that, of old cameras.